Flying Fox is showing us around Rarotonga. Written in English, this book support studies about making connections and comparisons with others. 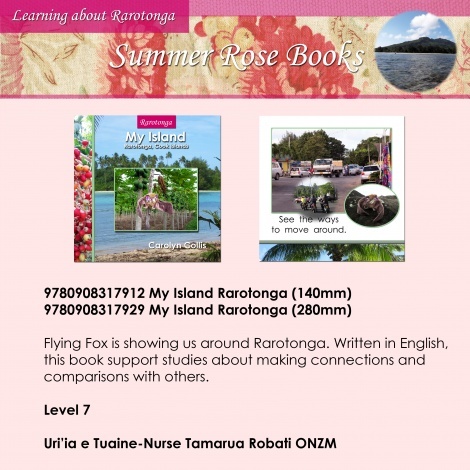 This series provides a fun way for children to learn about the Cook Islands, build reading confidence and improve general knowledge.